Enlarge / Hulu on the Web. One of Hulu’s chief competitors, Netflix, did just the opposite recently—it raised the prices of all its plans by a dollar or two per month. Hulu is structured quite differently from Netflix, though; while Netflix licenses some shows from other content providers, its primary focus is on original content produced just for the online platform. Hulu, on the other hand, is co-owned by several of the broadcast TV networks and is primarily oriented toward distributing those networks’ shows (and other content from traditional Hollywood sources) online. Hulu has some original series, too, though. Surveys have suggested that some consumers would consider dropping Netflix as a result of that service’s price hike. That doesn’t bode well for Netflix if true, as the service is still offered at an unsustainably low price given the cost of producing high-quality original series and films in the volume that Netflix needs to achieve its long-term goals, not to mention steep licensing fees for third-party programming. Netflix is likely to wean itself off those outside content deals more and more as time goes on. 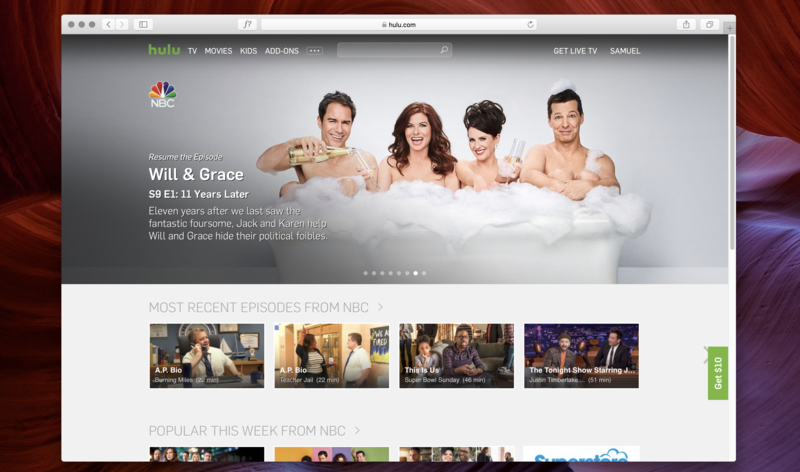 Hulu is also anticipating growing competition as Disney and Apple also plan to launch robust streaming services. Apple has made moves that signal the service will be available beyond Apple hardware, and it has made numerous content deals with high-profile industry talent, suggesting that it is not just a specialty play but an aggressive move to launch a new service at the scale of Apple Music. And Disney’s efforts will likely be equally ambitious.